ICN2 researchers have developed a novel concept in transistor technology: a two-in-one power source plus transistor device that runs on solar energy. Published in Advanced Functional Materials, lead author Amador Pérez-Tomás is calling it the "solaristor." Transistors are everywhere in modern electronic devices. They are in your phones, your radios, your computers… Where wires transport electricity from A to B, transistors can modulate the current between high and low states which, translated into sequences of ones and zeros, is the basis of the age of information. But your phone needs more than transistors to work; it also needs an energy source. All electronic devices are connected up to a battery of some kind, requiring cables, sometimes complex systems and a lot of space –the battery is the single biggest component of any mobile phone. What ICN2 researchers propose in this work is a compact self-powered transistor that incorporates the energy source and the transistor into the same slim unit. What's more, the energy source is the Sun. 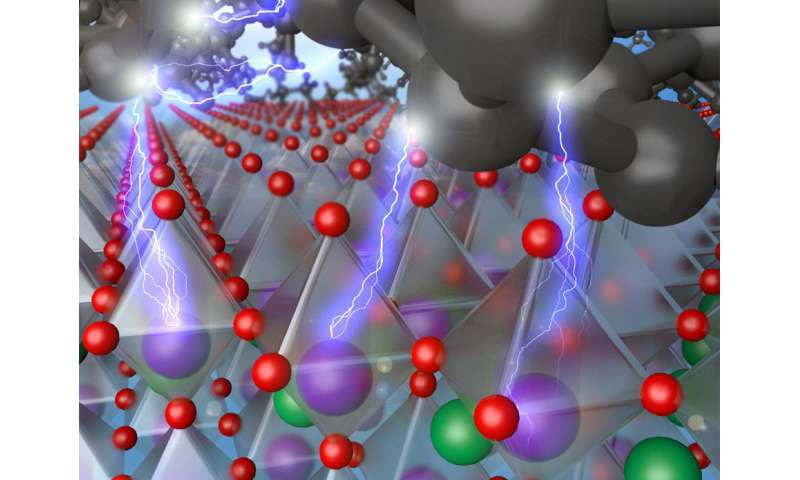 Published in Advanced Functional Materials, the work explains how the "transistor effect" is achieved by using a ferroelectric oxide to create the heterojunction needed for solar functionality. Such a set-up harnesses the switchable polarisation of this ferroelectric layer to achieve off and on states –1s and 0s– in the flow of electrons harvested by the organic semiconductor. This game-changing concept combines the best of solar cells and the best of transistors into a single device the size of a biological cell. Full details of this new device concept can be found in the paper "A Solar Transistor and Photoferroelectric Memory."